A nurse leader, educator and scientist and a nationally recognized expert in gerontological nursing and rural health care, Dr. Young is associate vice chancellor for nursing and founding dean of the Betty Irene Moore School of Nursing at UC Davis. Dr. Young’s research and clinical interest is the promotion of healthy aging with a particular focus on the interface between family and formal health-care systems. Her research has focused on family caregiving and the use of telehealth and community-based strategies to promote health for older adults and increase organizational capacity to serve older adults and their families. Dr. Young conducted a series of studies on long term care policy addressing nurse delegation and self-directed care. Her findings shaped state regulations. Dr. Young also collaborates on a number of interdisciplinary projects, including the Initiative for Wireless Health and Wellness at UC Davis, a project involving faculty from nursing, medicine, engineering and the Center for Information Technology Research for the Interest of Society (CITRIS). She serves as co-director of the UC Davis Latino Aging Research Resource Center and co-director of the Family Caregiving Institute. She serves on the Robert Wood Johnson Foundation’s Strategic Advisory Committee that guides the national campaign to implement the IOM Future of Nursing report, as well as being a founding member of the California Action Coalition executive committee, leading statewide activities. She was a member of the Presidential Council of Advisors on Science and Technology (PCAST) Working Group on Systems Engineering for Healthcare. Dr. Young is a UC Davis alumna, graduating in 1981 with a bachelor’s degree in dietetics. She later earned an associate degree in nursing from Sacramento City College and a Bachelor of Science in Nursing degree from Southern Oregon State College. She then went on to the University of Washington, where she earned a Master of Science in Nursing degree with a specialty in gerontology and a doctorate in nursing science. In addition to her extensive academic and research background, Dr. Young also has experience as a critical care nurse and as a geriatric nurse practitioner in community-based long-term care. 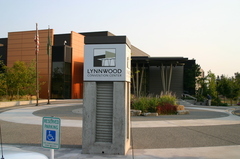 Previously, Dr. Young directed the John A. Hartford Center for Geriatric Nursing Excellence at Oregon Health and Science University and the Office of Rural Health Research. 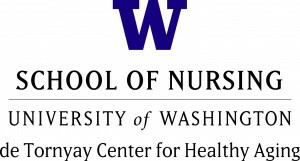 Prior to that, Dr. Young held a joint appointment on faculty at the University Of Washington School Of Nursing and as the chief operations officer for a retirement community company. During her time there, she directed the de Tornyay Center for Healthy Aging. 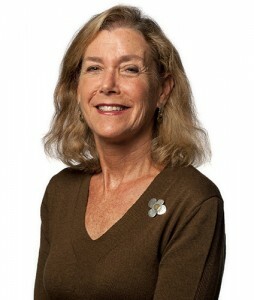 Lynn Friss Feinberg is Senior Strategic Policy Advisor at the AARP Public Policy Institute. She conducts research and provides policy analysis and technical assistance to support public policy on family caregiving and long-term care issues. Ms. Feinberg has over 35 years’ experience in the field of aging and family caregiving, working in practice, research, and policy settings. She came to AARP from the National Partnership for Women & Families, serving as the first Director of the Campaign for Better Care an initiative to improve care for vulnerable older adults with multiple chronic conditions. Previously, Ms. Feinberg served as Deputy Director of the National Center on Caregiving at Family Caregiver Alliance (FCA), where she was a leader in family-centered care and dementia issues. At FCA, she directed the National Consensus Project for Caregiver Assessment, and led the first 50-state study on publicly-funded caregiving programs in the U.S. Earlier in her career she served as an Area Agency on Aging planner and conducted aging policy research at the University of California, San Francisco. 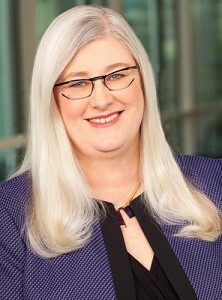 She has published and lectured widely on family care policy and practice, and has served on numerous advisory boards and committees to address aging, caregiving, and long-term care issues, including the American Bar Association’s Commission on Law and Aging and the National Academies of Sciences, Engineering, and Medicine’s Committee on Family Caregiving for Older Adults. Currently, Ms. Feinberg is Immediate Past Chair of the Board of Directors of the American Society on Aging (ASA), the Chair-Elect of the Public Policy Committee at the Gerontological Society of America (GSA), and an elected member of the National Academy for Social Insurance. In 2015, she received the Paul Nathanson Distinguished Advocate Award from Justice in Aging for her career work on family care issues. In 2006, she received the ASA Leadership Award. In 2007-2008, Ms. Feinberg was selected as the John Heinz Senate Fellow in Aging, serving in the Washington DC office of U.S. Senator Barbara Boxer. Ms. Feinberg holds a master’s degree in social welfare and gerontology from the University of California at Berkeley. 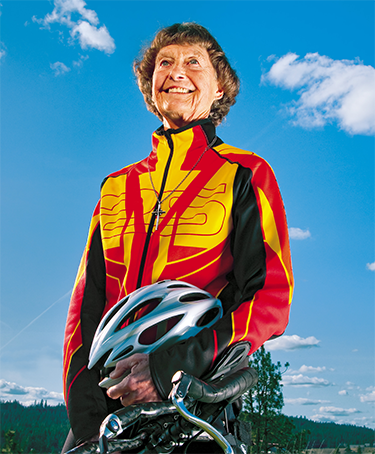 Sister Madonna Buder, also known as the Iron Nun, is a Roman Catholic religious sister and Senior Olympian triathlete. Buder began running in 1978 at age 48 and has since completed 340 triathlons, 45 of those Ironman Triathlons. Drawing on her years as a nun working in jail ministry and as a triathlete, Sister Madonna’s keynote will focus on encouraging us to be more mindful of the need for community of those around us. Loneliness and isolation, in particular, are common experiences for caregivers, who are also aging. Caregiving doesn’t have to be lonely — we have the opportunity to change that. We can help caregivers and one another find community and meaningful connection. This is part of our essential work. We too are caregivers.